How to blow your work-out in about four bites... WORTH IT! 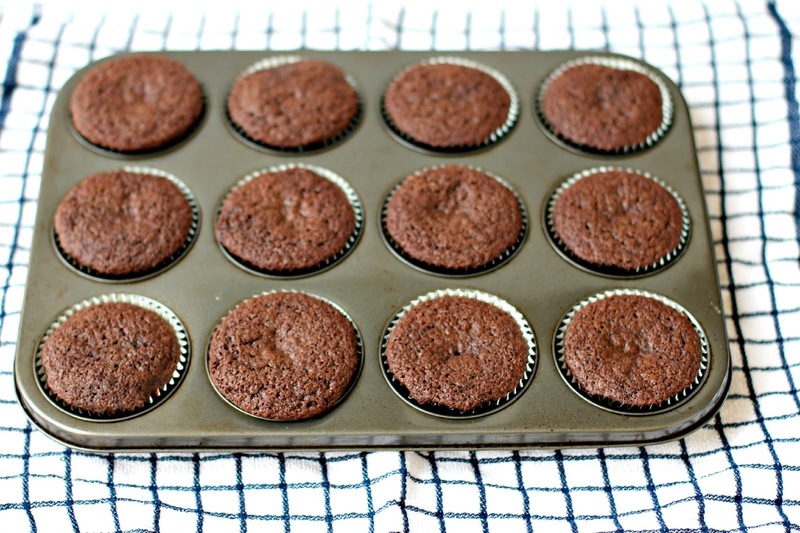 Preheat the oven to 160 degrees C. and line a 12-hole muffin pan with paper or foil liners. 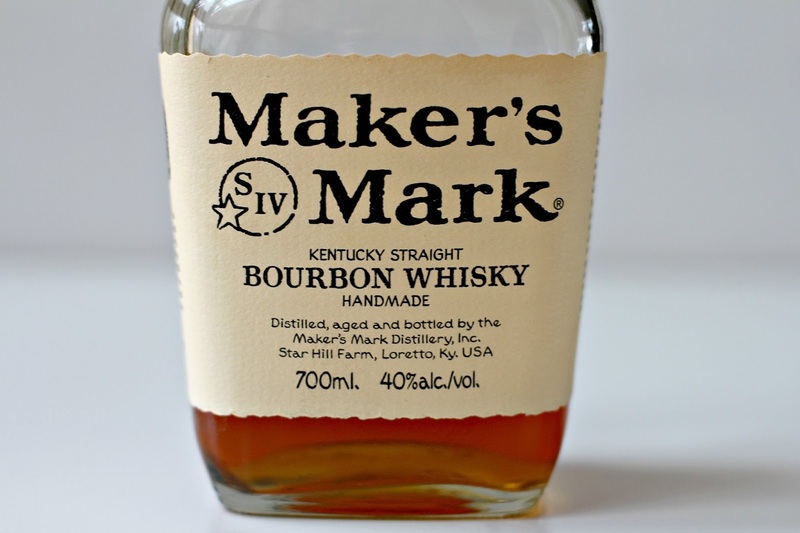 Put the bourbon and butter in a small saucepan and heat over medium flame until warm. Add the butter and stir until it is melted. 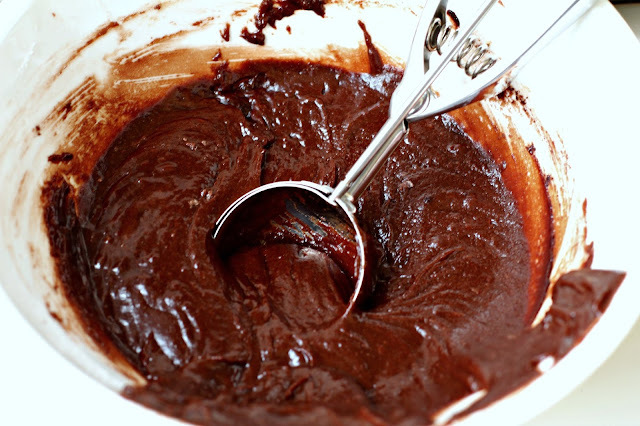 Remove from the heat and whisk in the cocoa. Set aside. Put the sour cream and eggs into large mixing bowl and whisk to combine. Add the bourbon mixture, flour, bicarbonate of soda and sugar and stir with a spatula until the dry ingredients are just incorporated. 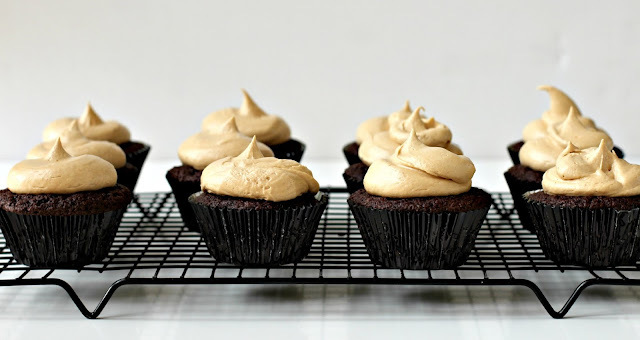 Using an ice scream scoop, scoop even portions of batter into the liners and bake for 25 - 30 minutes or until a skewer comes out clean when inserted into a cupcakes. Remove from the tin and leave on a wire rack to cool completely. 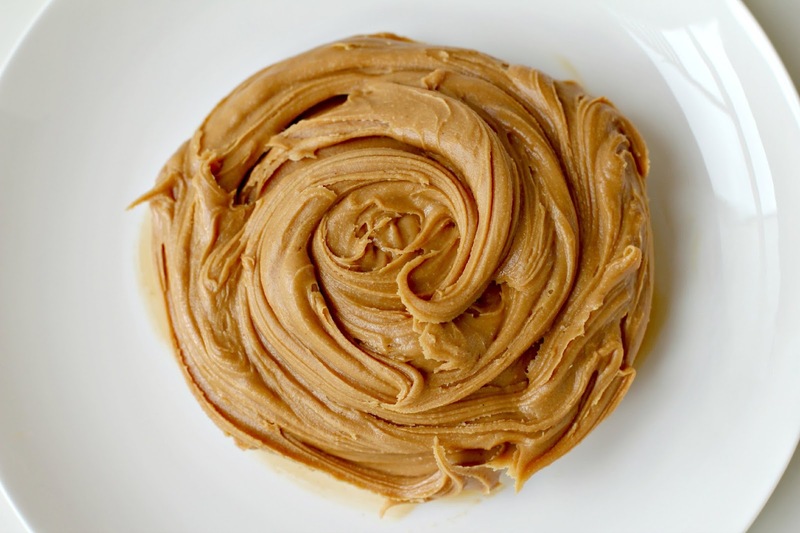 In the bowl of an electric mixer fitted with a paddle attachment, beat the icing sugar, peanut butter, butter and vanilla for about 6-8 minutes or until pale and fluffy. Add the cream and beat for a further 1 minute. 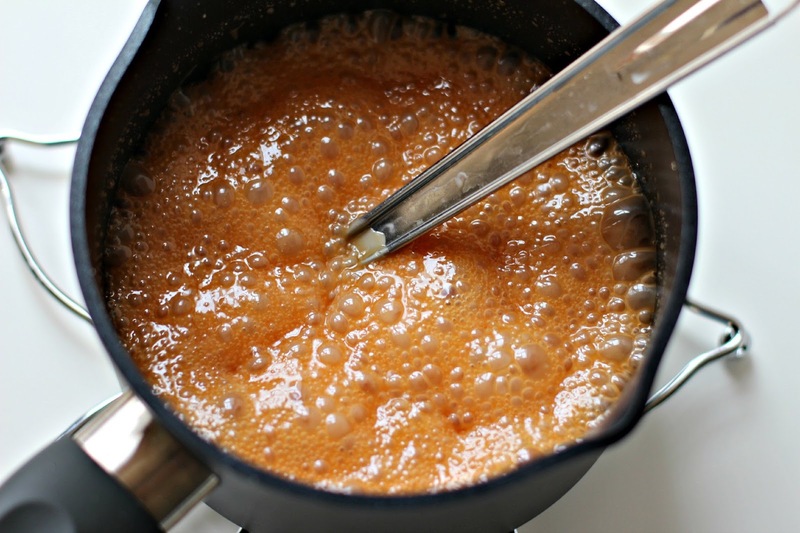 Put the sugar and water in a small saucepan over medium heat and stir to combine. Bring to the boil and cook for about 10 minutes without stirring. If you stir, the caramel could crystalise and you'll end up with a gritty sauce, which would be a tragedy. You can swirl the pan as the sugar starts to caramelise, but NO STIRRING. Remove from the heat and carefully add the cream and bourbon. It will splutter a bit so be careful. Return it to the heat and stir until smooth. Set aside until completely cool. 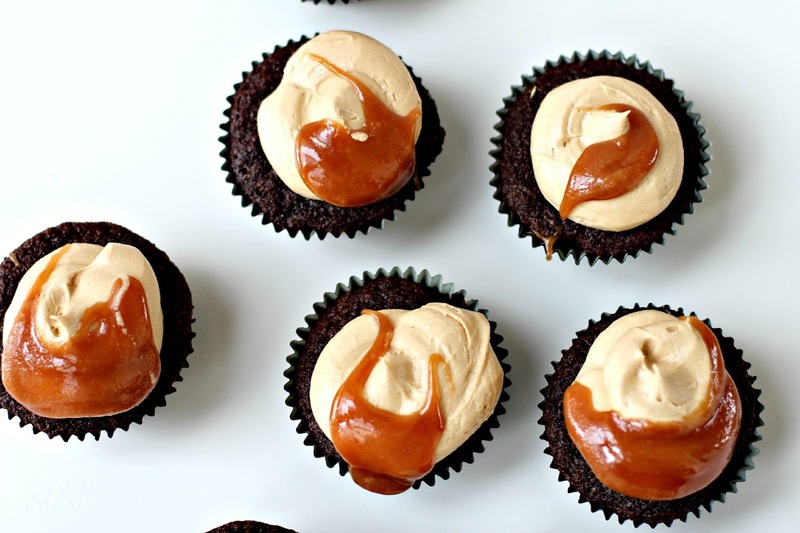 Pipe the frosting on to the cupcakes and anoint with the Bourbon Caramel Sauce. Ouh la la! What a cupcake...gosh! Yes Gabrielle - all the bells and whistles. I don't work out so I can have as many as I want. But I need to work out! 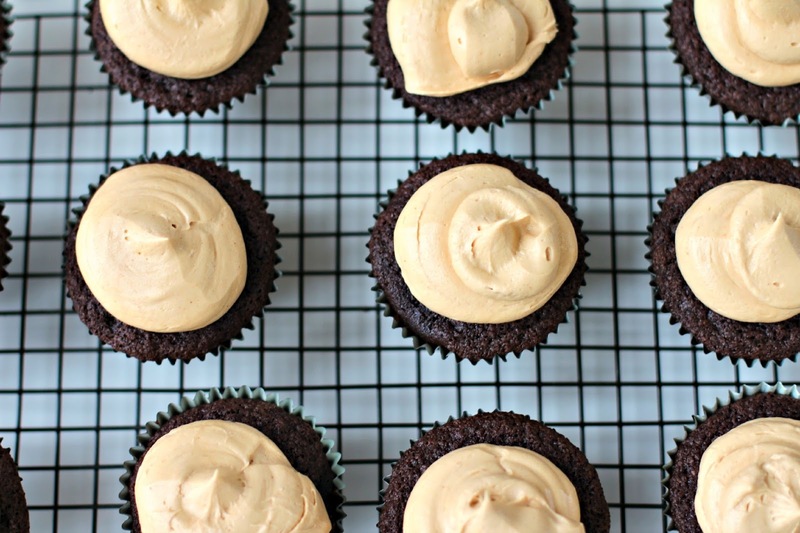 No, I need a cupcake. Need/want - semantics - Let's have a cupcake together and discuss. That is definitely worth blowing a work out for. Omgee. Ditto Patty. Haha - Let's all have a cupcake. 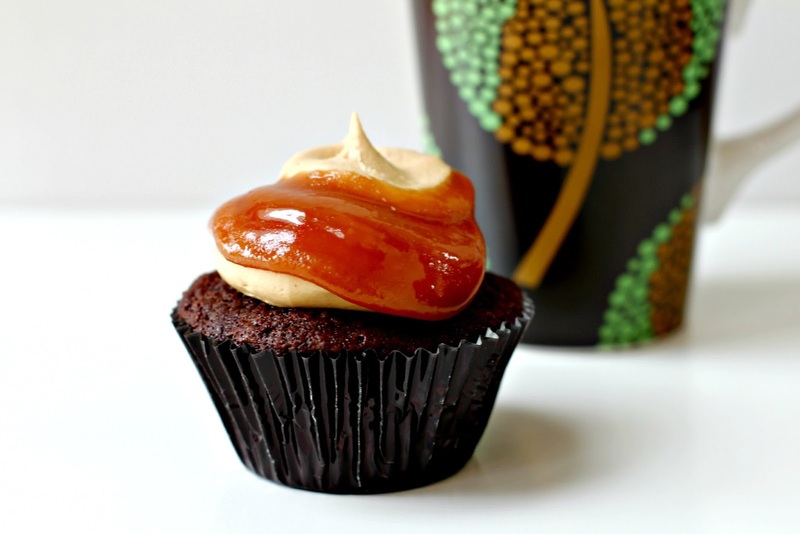 That caramel sauce is gorgeous!! Thanks Kristen - I might have eaten a FEW spoonfuls of that caramel sauce straight out of the pan. Thanks Dina - they tasted as good as they look - so THEY tell me! Wow!!! Definitely, a cupcake to die for... I am drooling!!!!! I know I've been successful when there's some drooling going on somewhere! Thanks for your lovely comment Denise. What am I doing? 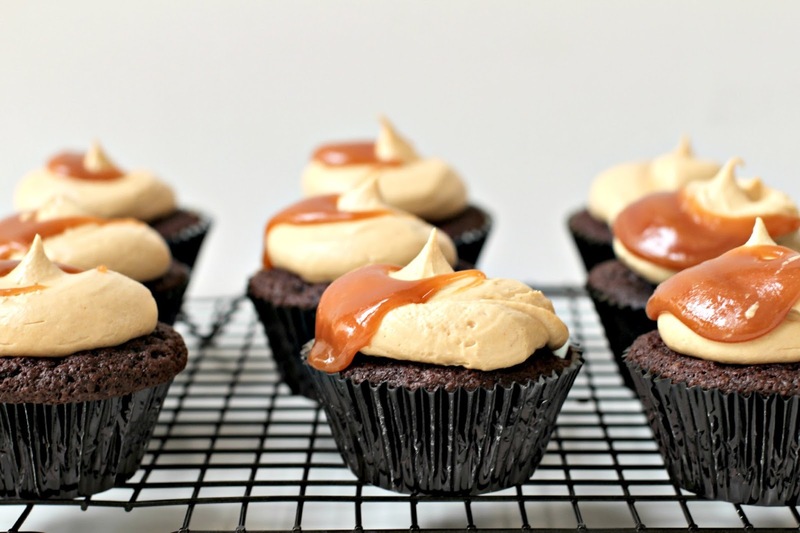 I'm supposed to be going to bed, but now I've found a recipe for bourbon caramel cupcakes. BOURBON. 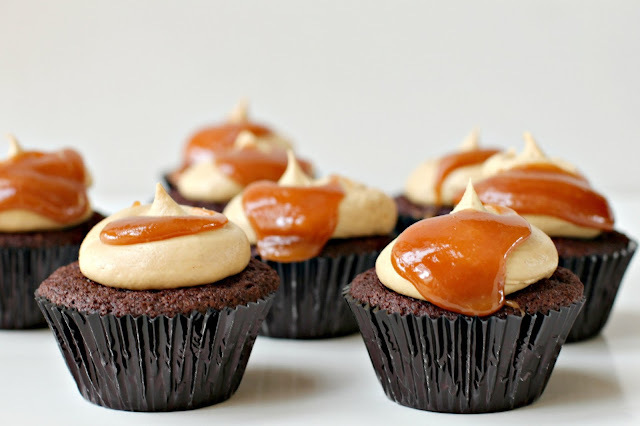 BOOZY CARAMEL. And peanuts and chocolate. Absolute dessert heaven... I'll swap you some olives for a cupcake? I'm a terrible influence. And olives for a cupcake, sounds like a good deal.